Have you been looking for a sensible and safe way of renovating your house or refreshing the look of your habitable space? If so, we have to say that you are in the right place! We have expanded our offer by adding residential scaffolding options to it. That is right! We are not a commerce-specific company that provides its services to a narrow group of corporate customers only. We have made a decision to reach as many prospective individual clients inhabiting the area of London and its outskirts as possible. 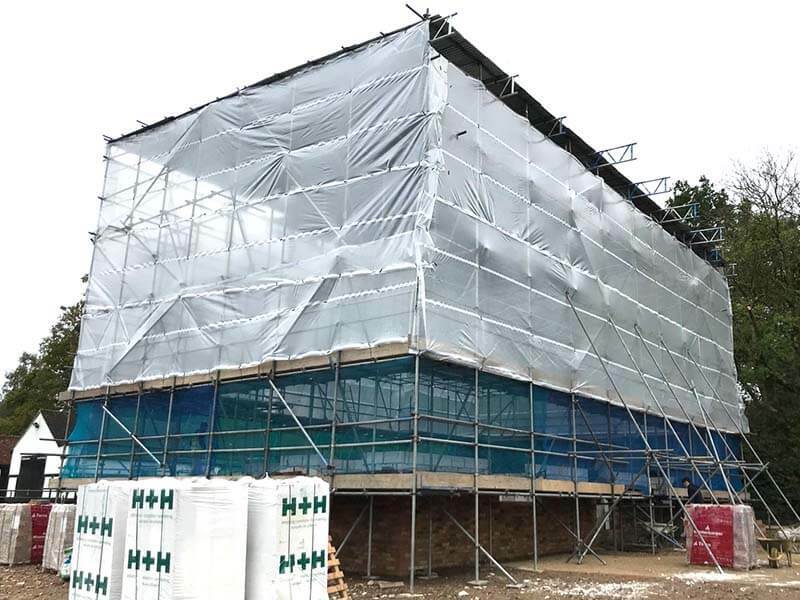 At B&J Scaffolding, we do not limit ourselves to external systems only, as we are fully aware of the fact that there are some difficult works that have to be done inside a house or a garage that also require the use of a professional installation ensuring contracted employees the safety and comfort of work. You can also take advantage of them by yourself, for example to paint the walls or ceiling of your house, attach some decorative elements, or introduce significant amendments to the overall structure of your habitable space. With us, possibilities are virtually endless as you are limited by your imagination only! Scaffolding maintenanceTemporary roof – B&J Scaffolding is at it again! Temporary roof – B&J Scaffolding is at it again!